Other researchers were enthusiastic. “This is a landmark study,” Jiou Wang at Johns Hopkins University in Baltimore wrote to Alzforum. He praised the thoroughness of the experiments and controls, noting that they represent a heroic effort to address multiple aspects of C9ORF72-associated toxicity. Robert Baloh at Cedars-Sinai Regenerative Medicine Institute, Los Angeles, agreed. 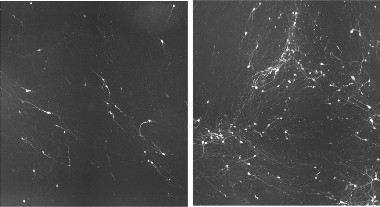 “[This] adds further evidence that the disease cannot be simply looked at from the perspective of one potential toxic mechanism, such as RNA granules or dipeptide repeats, but rather should be looked at as resulting from a combination of gain- and loss-of-function effects within and across cell types in the nervous system,” he wrote. Gain-of-function mechanisms have garnered the most attention from researchers, with numerous studies linking C9ORF72 expanded RNA foci and DPRs to toxicity in cell cultures (Dec 2014 news; Jul 2017 news; Feb 2018 news). However, C9ORF72 expansions have little effect in many mouse models, suggesting other factors may contribute to the disease, as well (May 2016 news; see also June 2017 news). 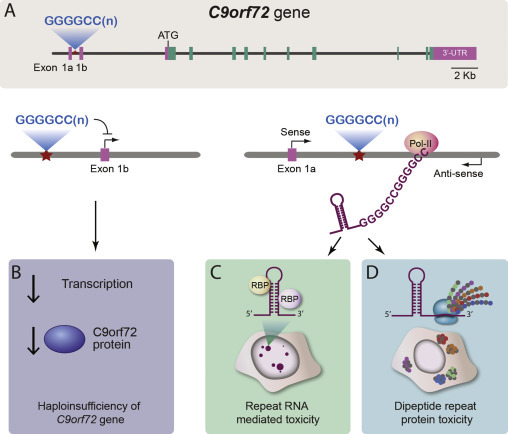 Meanwhile, the repeat expansion squelches production of C9ORF72 protein, raising the possibility that loss of normal protein function could factor into the disease. Researchers have paid less attention to this idea, because C9ORF72 knockout mice do not lose motor neurons or have movement problems (Jun 2015 news). The motor neurons’ glutamate sensitivity matters, because ALS patients have high levels of glutamate in cerebrospinal fluid. Some researchers believe this is caused by DPRs that are taken up into astrocytes, where they interfere with splicing of an astrocytic glutamate transporter, rendering the glia unable to mop up extracellular glutamate (Lin et al., 1998; Aug 2014 news; Jun 2017 news; Aug 2017 news). Thus, loss of C9ORF72 may conspire with DPR toxicity to kill off motor neurons, the authors proposed. The authors screened 800 small molecules for compounds to improve C9 iMN survival. Among the hits was an inhibitor of PIKFYVE, which localizes to early endosomes. PIKFYVE phosphorylates PI3P, converting it into an inactive form, thereby inhibiting endosomal fusion with lysosomes. Hence, inhibiting PIKFYVE stimulates autophagy. 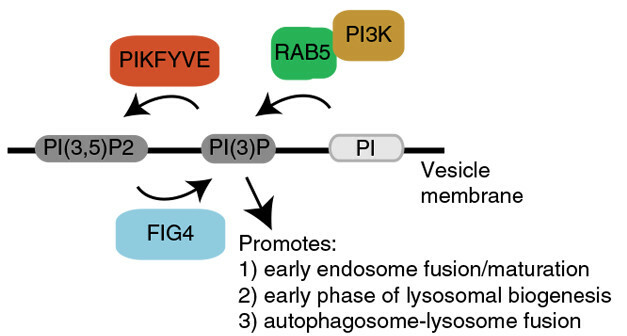 Intriguingly, the phosphatase FIG4, also found in early endosomes, opposes PIKFYVE function by activating PI3P. Loss-of-function mutations in FIG4 cause ALS, highlighting the importance of this pathway to the disease (Chow et al., 2009). Shawn Ferguson at Yale University, New Haven, Connecticut, noted that the approved ALS drug riluzole inhibits excitotoxicity, and suggested comparing the effects of PIKFYVE inhibition to riluzole in cell cultures. “Significant follow-up is required to determine whether the beneficial effects observed by Shi et al. in relatively acute assays in very specific models can translate into significant therapeutic benefits in human disease that would exceed those seen with existing glutamate blockers such as riluzole,” Ferguson wrote. Shi Y, Lin S, Staats KA, Li Y, Chang WH, Hung ST, Hendricks E, Linares GR, Wang Y, Son EY, Wen X, Kisler K, Wilkinson B, Menendez L, Sugawara T, Woolwine P, Huang M, Cowan MJ, Ge B, Koutsodendris N, Sandor KP, Komberg J, Vangoor VR, Senthilkumar K, Hennes V, Seah C, Nelson AR, Cheng TY, Lee SJ, August PR, Chen JA, Wisniewski N, Hanson-Smith V, Belgard TG, Zhang A, Coba M, Grunseich C, Ward ME, van den Berg LH, Pasterkamp RJ, Trotti D, Zlokovic BV, Ichida JK. 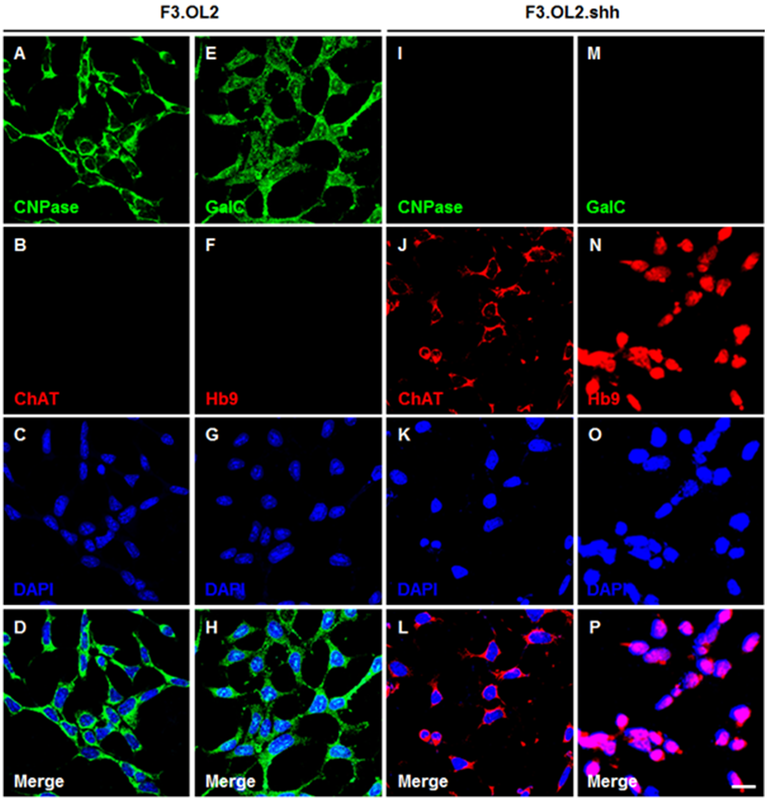 Haploinsufficiency leads to neurodegeneration in C9ORF72 ALS/FTD human induced motor neurons. Nat Med. 2018 Feb 5; PubMed. Bogaert E, d’Ydewalle C, Van Den Bosch L. Amyotrophic lateral sclerosis and excitotoxicity: from pathological mechanism to therapeutic target. CNS Neurol Disord Drug Targets. 2010 Jul;9(3):297-304. PubMed.